Horev Street in the Ahuzza neighborhood has numerous fashion boutiques, bridal boutiques, a large selection of pubs and restaurants. If you are driving by car to Horev, be warned, the road is very busy and often congested there is paid parking on the street but it is very limited. There is a paid parking garage in Horev Shopping Center and an informal open parking area on Hadassa Street. You can get to Horev by bus nos: 23, 24, 22, 28, 37, 123, 125, 133 or by sherut (shared taxi): From the Hadar take Sherut route no 28 to Neve Shaanan or route no. 37 to the university or 37A to the Druze Villages. Top Tip: There is one main, and very long, road atop of Mt. Carmel where some of Haifa's more elite suburbs are located. In Hebrew this stretch of road is known as "Tzir Moriah". It starts in the Central Carmel neighborhood where it is known as Hanassi Blvd., after approximately 1 kilometer, the road changes its name and becomes Moriah Street. Some 2 kilometers later it changes its name yet again and becomes Horev Street. A short distance after the Horev Shopping Center, the road changes its name yet again and becomes Abba Houshy (named after Haifa's first mayor). Abba Houshy continues all through the suburb of Denya until it passes the Haifa University. At that point the road changes into a national road - route no. 672 which takes you to the Druze Villages of Isifiya, Daliat El'Carmel and beyond. The Check-post gets its name from the time of the British Mandate, when it was a check-point for all traffic coming from the north at that time. The Check-post is home to an abundance of stores and showrooms for furniture, tiles, sanitary fittings, home construction and repair. Service garages, car lots and car rental companies can also be found here. The Check-post is at the northern entrance to Haifa close to the Cinemall. Most stores here open at 10.00 and close at 22:00. 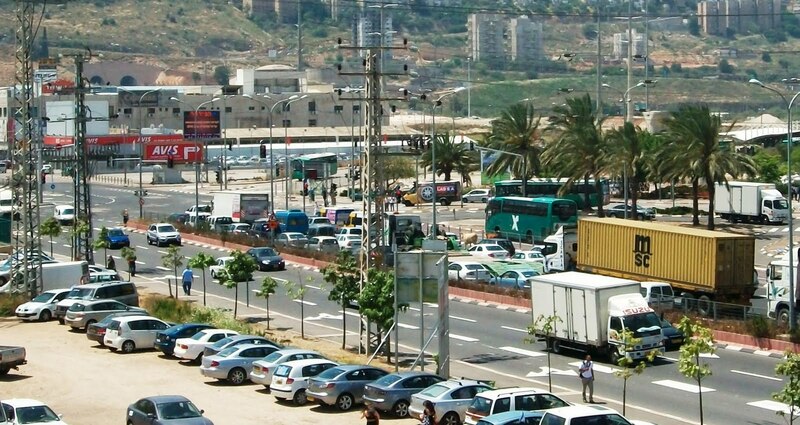 Ben Gurion Blvd is in the heart of the “German Colony”, The suburb is named after the German Templars that settled in Haifa and in Palestine during the 19th century in the belief that occupying the Holy Land would hasten the second coming of Christ. The Ben Gurion boulevard is the center of Haifa nightlife and has many restaurants offering a wide variety of cuisine; sea food, middle-eastern, light meals and Chinese cuisine. The boulevard also offers a stunning view, day and night, of the lower terraces of the Bahai Gardens and Temple. The City Mall is close to the port a few hundred meters up, is Eizen's Butchery, a favorite amongst Anglos. Parking in the German Colony, like in every part of Haifa, is a challenge to find. Hanassi Boulevard, the main street in the Central Carmel neighborhood, has plenty of pavement cafes which contribute to the European atmosphere. There are a variety of stores along Hanassi including pharmacies, clothing, sweet shops and florists. There is a small shopping center at the Haifa Auditorium and another one adjacent to the Dan Panorama Hotel. The Dan Carmel Hotel is also on Hanassi boulevard. The Crowne Plaza Hotel on Yefe Nof is close by. Most banks have branches here. Two supermarkets, one in the Haifa Auditorium and Cinematheque complex and the other between Gan HaEm (Mother's Park) and Derech HaYam (Sea Road) are also on Hanassi Blvd. The post office is just off Hanassi, on Wedgewood. Steimatzky’s book store – lots of English books and literature. El-Gaucho – Kosher Argentinean steak house also does small functions on Yefe Nof street, parallel to Hanassi. By car – paid parking on Yefe Nof, Wedgewood and in the Auditorium complex. By bus: numerous routes from most suburbs in Haifa - 1, 5, 23, 28, 37, 37A, 132, 133 etc. 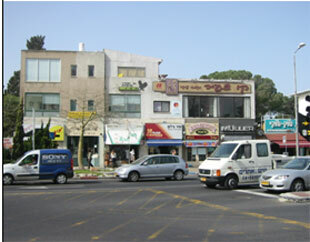 Herzl and Hehalutz Streets are in the heart of the Hadar neighborhood. Go by bus or by sherut. Most of Haifa's suburbs have buses that go into the Hadar. Parking in the Hadar is almost non-existent. A myriad of shops, banks and falafel stands. Here you can pick up inexpensive kitchenware and plenty of nick-knacks in the “Dollar Shop”. No need to go Tel Aviv’s Shuk HaCarmel for inexpensive clothing – they have it all on Herzel Street. You can buy freshly ground and roasted coffee beans, inexpensive cosmetics, bags, Italian shoes and your son's Bar-mitzvah suit here too. One of the entrances to the Talpiot fruit and vegetable market in on the corner of Herzl and Chaim street. Hold on to your money, keep your bags closed. Don’t keep your wallet in your back pocket. Shop for new school bags here for the widest selection at the lowest prices.